The landscape of American education is rapidly adjusting to higher standards, more frequent testing and higher stakes for educators and students alike. Though Arne Duncan issued a temporary reprieve on roll out till 2016, the Common Core State Standards have been adopted by 45 states and teacher and school evaluation will be intimately and legally bound to how rapidly and effectively student performance climbs up these ladders. Also in the news is the Supreme Court decision on Affirmative Action which addresses the post-Great Recession America question: Which is the bigger barrier to opportunity-race or class? Though racial barriers certainly still exist, a mountain of evidence exists that quality higher education is tilting further toward the already wealthy. It’s for these reasons that the 2013 MCNC Summer Conference is focused on the implementation of the Common Core State Standards and the issue of poverty as it impacts aspirations of all American youth. MCNC and its member schools and colleges pride themselves in championing the disenfranchised and supporting all students to be college and career ready. Latest data (2011-2012) from NCREST studied 25 schools and almost 7000 students in grades 9-13. These students represented 67% Black and Hispanic youth with 63% receiving free or reduced lunch. On both criteria of minority identification and poverty, MCNC schools have demonstrated consistent success at the schools and beyond, into post-secondary education. Ninety percent of middle and early college students in the Consortium had taken college courses during their time in high school. The most recent cohort accumulated 33.7% college credits-equivalent to more than one year of college coursework. This is the highest average over the past seven years. Furthermore, college course taking twelfth graders have performed consistently over that time period with last year’s cohort earning a GPA average of 2.75. Ninety two percent of our graduates declared the aspiration to continue with their education upon graduation and data confirmed that 90% of the 2010-11graduates enrolled in a post-secondary institution. MCNC appreciates the mission to support its membership with the current language, systems and strategies to maintain success in the national arena. This year’s focus on Common Core State Standards is designed to bring those research based practices to all it’s members. Intruding them to specifics strategies, incorporating differentiation and writing across the curriculum, as well as quality performance based mathematics instruction will serve to better prepare all students to meet the challenges of successful simultaneous high school- college attendance and completion with greater independence, confidence and performance. Was recently brought back to my attention when I attended the MCNC Student Leadership Conference in Columbus, Ohio. The Mid Ohio Food Bank engaged students and teachers in a poverty simulation that sensitized us to the hidden influence poverty has on connecting youngsters and their families to education, aspiration, self efficacy and ultimately, reaching their potential. We are fortunate to be able to recreate this experience for all our attending members and we know they will, in turn, bring it back to their faculties and communities to use to propel us ever forward regardless of the current trends. It has been my pleasure to have been with the HISD Early College Initiative since its inception, I am Justin Fuentes, once Dean of Students and Principal at Challenge Early College, and serve as a board member for the MCNC, and currently am School Support Officer for all of our Early College High Schools. To brag a bit, two of our schools have achieved National Blue Ribbon Award status, all of our schools have achieved an Exemplary rating via the Texas Education Agency, about 50% of our graduates have achieved an Associates Degree while all have left with college credits, many of our students have gone to Ivy League schools, participated in Internships abroad, and even served our country through military service. More than a few are currently working in HISD, and even my own son was a graduate from our schools. This is our story. In the early 2000’s, during the peak of the small schools movement, a discussion was going on in Houston around how to build schools for the many different subsections of its expanding community. This was also a time when funding in public education was plush, so it wasn’t only our public K-12 schools that were looking for alternatives to student success. In Houston, the driver of this conversation was the Houston A+ Challenge. This organization was an offshoot of the Annenburg Foundation that had been pumping major funding into public education with a focus on changing it from traditional to something new. They had been working with Houston Independent School District (HISD) for some time in the areas of professional growth, communication, and collaboration through the use of theories and structures such as Critical Friends Groups, Professional Learning Communities, Data-driven Instruction, etc. They now wanted to help develop a school where all of these were tenets for both adult- and student-level growth and learning. After much research into the new and exciting constructs that were being promoted for schooling nation-wide, the Houston A+ Challenge saw an opportunity via the Bill & Melinda Gates Foundation and their newly promoted Early College High Schools Initiative. These were to be schools that sit on a college campus where students earn both their high school and college Associate’s Degrees concurrently. This not only created a need for a partnership with HISD, but also one of the many institutions of higher education in the city of Houston. Provided the high pace of funding for new and innovative programs for students of all levels, the local community college had a need to provide alternative methods to attract students to its doors and to do it fast. When Houston Community College (HCC) was approached by Houston A+ Challenge about the opportunity to host an Early College it was an easy win. In 2003 Challenge Early College was opened, closed, opened, closed again, and finally reopened one month before school started. Challenge became one of the new innovative schools that HISD was opening and others in the state of Texas started to notice. After two successful years of educating students and partnering with HCC, the Texas Education Agency (TEA) partnering with the Texas High School Project and Jobs For the Future came to Challenge to use it as its primary replication site for the state initiative. During the 2005-2006 school year upwards of 100 different school districts came to visit and see if Early College was in their future, currently there are over 50 in the state of Texas, 9 in the Houston metropolitan area, and 4 in HISD with another on the way. With the addition of the new school given a victory in our current bond initiative, we will have an Early College at every compass point within the city of Houston. Currently Challenge is in the west, East ECHS on the east side, North Houston ECHS on the north side, Houston Academy of International Studies ECHS is located in the downtown center of our city, and the new school will reside on the south side of the city sprawl. These strategic placements maintain service to all communities in our city, allow for less student travel given that HISD’s Early Colleges are not provided with district transportation, and provide for continuity between the various campuses within HCC. Given the variation in the HCC campuses where the HISD Early College’s reside, there is some difference in the programs provided by each. Challenge and North Houston are located on large campuses which allow for students to be embedded into about ninety percent of their college courses, With a focus on general AA/AS degrees at the college the credits that the students accrue are similarly focused on generalized degree requirements. East is on a campus where their building was constructed before the college campus so a majority of their classes are taught in a cohort fashion, again with a focus on generalized degree requirements, but a bit more on math and science than the other schools. The Houston Academy of International Studies, as its name describes, pushes students toward coursework in international business and communication while the majority of their students take embedded coursework while having to take a bus to the college campus at the main building which is five blocks away. The new school on the south side of town is going to specifically have a STEM, or Science/Technology/Engineering/Mathematics, focus, and since it is on a college campus also being built, the students will likely take the majority of their coursework in cohort classes. The five Early College High Schools in HISD are under the supervision of one administrator, or School Support Officer, which provides for a sharper focus on their needs. The schools have always shared a kinship and collaborated regardless but working under the leadership and within a common structure their opportunities and resources are optimized. The Early College High Schools, with other charter schools, have created a “small schools league” which started with school based soccer teams and now has expanded to other sports of student interest. They have always shared information regarding college textbook pricing, school staffing, course alignment, and specific details of running their unique schools. In the last two years they have formed a “small schools collaborative” in which they hold common professional development sessions in pre-service days and throughout the school year. Here they make time for teachers of similar subjects to collaborate on curriculum and instruction and build benchmark exams to gauge student progress toward success on state tests. They have also done inter-school Instructional Rounds so that their small departments get to see how others work and provide constructive feedback for the school hosting the session. The collaborative has even decided to make the MCNC’s Peer Review process a common structure. Extending their work to continually improve their schools there is still work done with the other local Early Colleges, and currently three of the four campuses belong to the MCNC. In HISD these schools are looked upon with respect as they are extremely successful, but still must maintain and educate others to the point that they are not schools for the easily educated or students from prosperous backgrounds – they truly are Early College’s by the Gates definition! 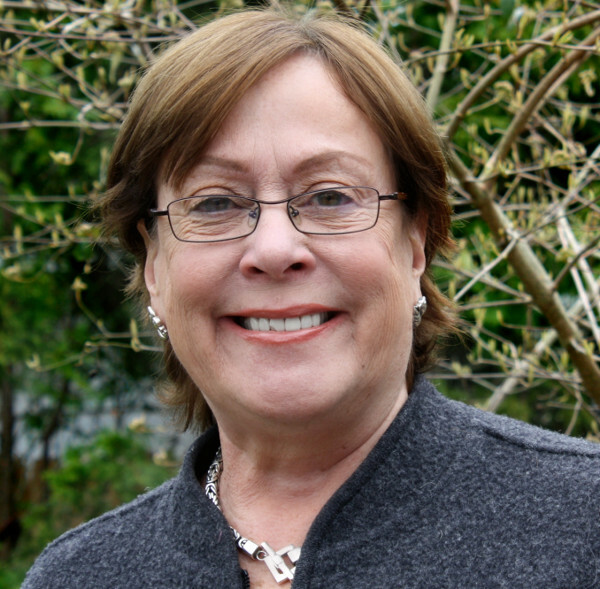 I am Tonya Miller, and I have had the privilege of serving Houston’s early colleges since 2008. Prior to becoming the Principal of Challenge in July of 2011, I was the Dean of Instruction at North Houston for three years. There, I was also involved in the planning and groundwork in the months leading up to the opening in August of 2008. Early college in Houston has created equity in education for traditionally underrepresented students who now have the opportunity to receive both a college education and Advanced Placement coursework. At Challenge, we have closed the achievement gap between subgroups of students. The expectation and program design is such that all races, ethnicities, regardless of socio-economic background achieve. Our relationships with students and the mentorship they receive are what ensure student success in a rigorous program that exposes them to real college classes at an early age. Our location, inside of a college building, affords students the unique opportunity of a true college experience which includes both the opportunities, exposure to a diverse student body and ideas as well as the challenges. Students grapple with paying fees, registering for classes, college placement exams and having conversations with professors and college officials. To brag a bit, our senior class of 2012 left with $3.1 million in scholarships, and the class of 2013 will surpass that amount. One hundred percent of students who apply to four year universities are accepted. Esteemed publications such as the Washington Post, Newsweek, and U.S. News and World Report all list us as one of the top high schools in the nation. We were also named a 2011 Blue Ribbon School by the U.S. Dept of Education. I am proud to say that Houston Early College runs through my veins! Early College in Houston has grown from what was first thought to be another flash in the pan that would disappear, to a safe haven for Houston’s at-risk students. Our students would most likely disappear within a large comprehensive high school. They would be the ones to flounder, get into trouble, or drop out due to family situations. When we first opened in 2006, we were largely ignored. After years of consistent high achievement and attendance rates, opinions changed. East Early College recruits solely from the East and Southeast regions of Houston. The needs of students on the Eastside are different from those North, South, or Central. We utilize local resources such as area YMCA’s, Neighborhood Centers/Ripley House, local businesses and local residents. Our students do required community service hours in elementary and middle schools, the facilities named above, local libraries as well as city-wide. One early concern was a lack of transportation as a factor that might hinder success, but at East Early College our attendance has ranged from highest to second-highest among HISD high schools (98.1-98.8% between 2006 and 2012). This is due to our constant monitoring and counseling of students and families about attendance, which as we know, generally stems from social or economic issues. The consistency of excellence has been achieved through all of us sharing within the collaborative and by all of us holding firm to the early college principles of rigorous instruction, relevance by exposure to college-bound culture, and close relationships with our students and their families. All five EC principals and our School Improvement Officer Justin Fuentes ensure that the team not only targets populations underrepresented on college campuses, students of low SES, minorities, and first-generation college goers, but also supports them with social workers, advocacy/advisory and constant monitoring by deans and college access coordinators. The Houston Academy for International Studies was started as primarily an international studies school in the Asia Society’s International Studies Schools Network. We began with a focus on “internationalizing” our inner-city students with Model United Nations, language study and world travel and the thought that they could also earn some college credit. In our 3rd year we applied for and received a TEA grant to become an Early College High School. This gave us the structure, planning protocols, and authority to begin getting our student on the track to earning an Associate’s Degree with their high school diploma. The paradigm shift from offering the world and some college credit to the world and an Associate’s degree has been a big one. Getting our “at-risk” and economically disadvantaged students to step outside their current reality and see their role as global citizens and college scholars has been both challenging and rewarding. North Houston Early College High School operates on the philosophy that people should and can be lifelong learners. To that end, as we interview perspective students our focus is not primarily on how far they have come, but rather how far they wish to go. We strive to provide a rigorous curriculum that is in line with the state standards, but which goes further than what is required. Our students are varied in their academic abilities, interests, and plans, but they all have a common goal of attaining admission to a four year college or university. Our school serves students who are mostly from the North Houston community. Because many of our students are first generation college students, they instill a sense of pride to their families and their neighbors. We serve the students who are underrepresented in the academic arena: the poor, the immigrants, the minorities, and the at-risk. Our faculty, too, come from different backgrounds and diverse educational levels. All have Bachelor’s, most have Master’s, and some have Doctorates. Their differences are eclipsed only by their passion to see the students succeed and to ensure that they learn more than test preparation, but life skills which will guide them into greater research and discovery. 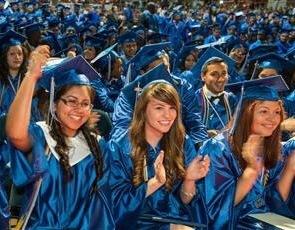 North Houston Early College High School is in its fifth year of operation. Last year, we graduated our first group of seniors and over half of them (67) earned Associates degrees along with their high school diplomas. The class as a whole was awarded over 2.3 million dollars in scholarship money, and most were admitted to 4 year universities. This year, members of our senior class have received full ride scholarships, admittance into universities all over the country, membership into the prestigious Posse Foundation, and awards for community service. At North Houston Early College High School, our students’ tomorrow begins today. And a final word from Justin Fuentes…. We have maintained the vision that we started with, making both children and adults be continuous learners, and what makes me most proud is that our schools are places where people want to be, which includes me. In this time in our history what could be more appropriate than the question: What Makes a Healthy Community? With natural disasters pummeling our coastlines, prairies, and descending, upending and challenging all our status quos, we need “community” more than ever to offer the support and pool resources. So it was against that backdrop that The Charles School, in Columbus, Ohio framed the 2013 MCNC Student Leadership Conference. The Charles School was perfectly poised to lead this discussion as it is unique in the MCNC network for it’s membership in a kindergarten through University network. Educating youth, beginning with the Graham Family of Schools and ending at Ohio Dominican University it reaches a broad spectrum and works with each to address unique challenges, while developing a collaborative network of students and educators. Comprised of four k-12 schools, led by Greg Brown, each institution prides itself for Expeditionary Learning, a feature that engages students in active roles within the community in a variety of ways. The Middle School promotes job shadowing and internships, the high school immerses students in two week long Expeditions each year and partnerships with the University, local hospitals, social service providers, etc connect students to the “real world” and community building from a very early age. Adding to the excitement of a great partnership and host of new activities, after 20 years of conference development for youth and three years of building a unique program combining college coursework, community service and on line networking, MCNC undertook to produce a 40 minute documentary, “Walk With the Dreamers,” which featured the journey of 5 students from diverse geographical, economic and cultural backgrounds through the steps of preparing, coming and participating in the conference. The film’s first twenty minutes were brought to Ohio two days prior to everyone’s arrival and the final sections were filmed, edited and then premiered on the spot with the assistance of local production teams from Mills-James Media. MCNC SLI 2013 was a breakthrough in imagination, process and opportunity for everyone involved. 40 Host Ambassadors from The Charles School worked with advisors, Chris Spackman and Michele Lowry for 9 months and created an experience that broke the mold. Students from 24 schools across the country arrived and engaged in an icebreaker designed by Junior, Tobechi Titus. They were sent to rooms to meet their conference teammates from around the country and tasked to create “indispensible” buildings for healthy communities. The buildings were made of painted milk cartons (yay! Recycling) and students painted, papered, and collaged their creations before locating them on a huge model city. Over dinner, they met in tables and began the serious work of talking about serious issues that produce unhealthy communities and using the information and homegrown projects they had spearheaded all year to offer solutions for safety, housing, education, welfare and heathcare concerns. The degree of involvement and quality of proposals was staggering and students bonded around intellectual agendas from day one. The next day was physically challenging. An entire day of high and low ropes courses, GPS tracking, team sports, archery and tomahawk throws. By the evening’s campfire teams had become families, frightened youngsters had been supported to dangle from belay harnesses and everyone was ready to bed down in preparation for the two days of REAL WORK ahead. Months of planning and working with The Graham Schools’ Debbie Addison yielded 24 sites where students worked, learned, and explored the “healthy” side of Columbus, Ohio. They worked on planting at Franklin Conservancy, organized materials at Habitat for Humanity, observed human dissection at Ohio Health and toured The Children’s Hospitals’ latest innovations in making young children with serious health problems feel like ”kids.” They engaged in two days of Yoga training, worked with autistic youth, engaged in poverty simulations and boxed more food than the Ohio State Football Team in one hour, breaking records at the Mid Ohio Foodbank. Potential journalism students visited the Columbus Dispatch and the local news station and got to cuddle a baby kangaroo! When all was said and done, the students were exhausted, but still not done with their work. They joined in four groups representing the core pillars of the conference: Healthcare, Social Services, Arts and Recreation and Education and pooled their information and ideas and made a report to the assembled group, dressed in their party best for the film Premiere at the IMAX screening at COSI (Center of Science and Industry). Needless to say, seeing yourself magnified 10,000 fold is an awesome experience and the film heralded the passion, intelligence and beauty of these students, all that came before to build this program and those who will follow and make it even better in the years to come. The SLI program is not just a conference or a school trip for deserving students. The conference preparation relies heavily on using social media to spark deep conversation and transfer of knowledge. Each September hosts work with Megan Lee, MCNC SLI Intern and Terry Born, to develop a survey that all national participants take when they join the SLI Facebook Community, MCNC Student Voices @Facebook.com. This survey raises questions and concerns that youth around the country have and starts to conversations within each school. Which has more influence: good or bad communities? Do healthy communities inevitably survive or do unhealthy communities with power hold the most sway? These are some of the issues raised by our young people. As we move, now, to the issue of Social Justice, we foresee explorations of immigration, prison reform, educational equity and opportunity and religious persecution to name a few. This year, after 20 years of expanding student leadership, challenges and accomplishment, MCNC produced a documentary. 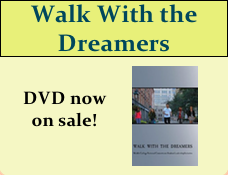 “Walk With the Dreamers” was conceived at the Los Angeles SLI Conference in 2012, when several extraordinary teachers (Alex Brilliandt of Greer Middle College High School and Matthew Osmon of Mott Middle College, broached the concept to Terry Born, coordinator of the SLI Program. The Los Angeles experience was so well organized and the students so committed and passionate about their role in shaping the future of our country that it seemed a lost opportunity that no one had captured these young adults in their formative development and the program that honed their passion into positive community change. Twelve schools contributed to the film’s first section which chronicles 5 students: Adina Guzman of RFWagner Jr. SSAT, Ralphy Lopez of Brooklyn College Academy, in NYC, Cesar Romero of El Centro,MCHS in Dallas, Alyx Farkas of Greer MCHS and Chloe Schockling of Brashier MCHS in Greenville, on their journey to the conference. The final segments document the events and learning curve that these students, joined by 200 peers, experience in Columbus. The film is a masterful combination of process and human interest and is designed to be both teaching tool and fundraising vehicle. Written and directed by Terry Born and Megan Lee, it was made possible by the volunteer work of Alex Brilliandt, Matthew Osmon, Alexis Crawford (Academy of Health Sciences in Md.) and the extraordinary contributions of German Vargas, professor of film and video and editor from Costa Rica. Copies are available at Amazon.com and Createspace.com for a small fee, which will be used to support the program.